Colour Theory: Learn it, Use it, Love it. 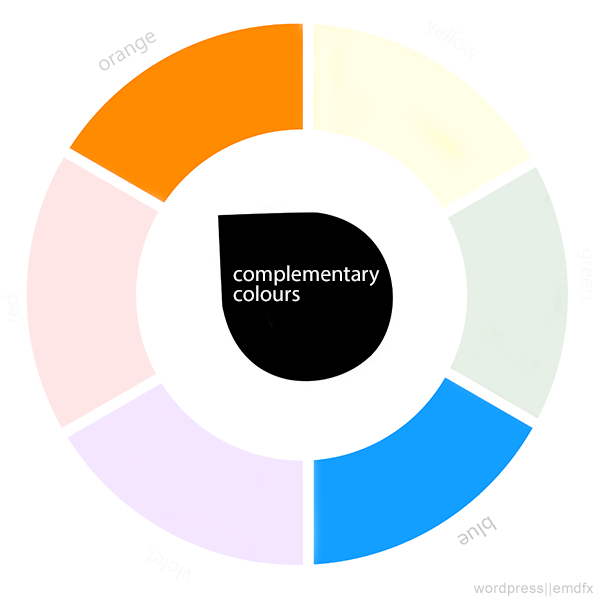 Colour Theory: What is Colour? As mentioned in the previous post we will be discussing some more simple terminology related to colour. Colours which are across from each other on the colour wheel such as red and green and blue and orange are said to be complementary colours. I always wonder why they call them complementary colours as they merely offer heavy contrast when used together. I think a better name would be contrasting colours, but that’s just me. If you need to make a colour pop, just use two of these colours and the colours will definitely pop off the screen/page but please, be careful how you use them because these colours rarely actually look good together. In fact, more often than not you will end up jarring your viewer and leaving them in unsure of what to view first and more often than not they will just pass it by. 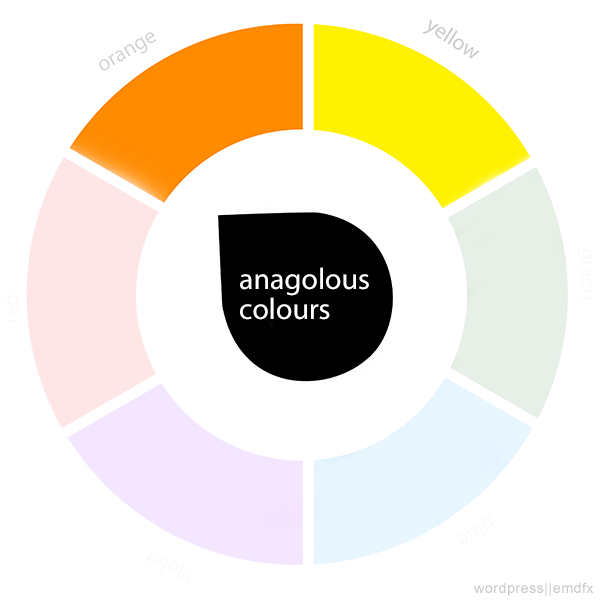 Anagolous colours are those which are right next to each other on the colour wheel. Due to the closeness on the colour wheel, they match wonderfully usually and they also offer very little in the form of contrast. But they give a design a feeling of serenity and makes the viewers have a sense of comfort while viewing. When designers speak of saturation, we are speaking of the amount of colour used, i.e when a colour is saturated it is vibrant, bright! In contrast, a colour which is desaturated has had the colour removed. 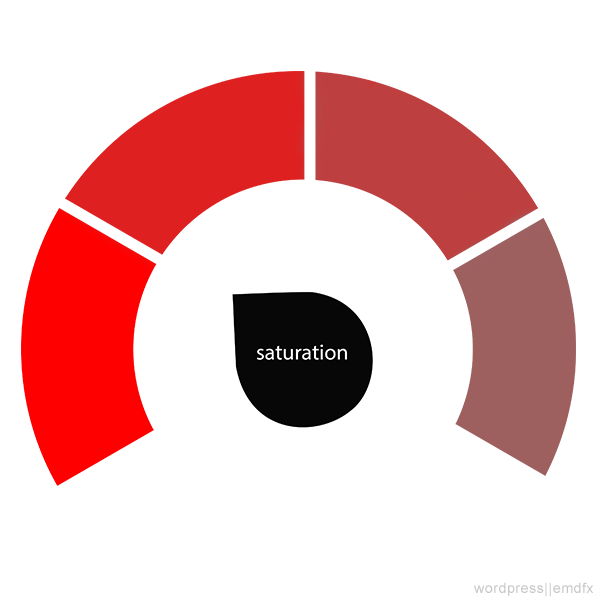 Colours which are desaturated tend to feel more neutral because there is so much gray in them. That’s it for this week, next week we will be looking at RGB, CMYK and Pantone colour and how they affect the final product.